Our human catapult is the first and only in Croatia, and it's located in the biggest adventure park in this part of Europe. When you arrive at the catapult we will put on a full body harness and explain to you what you can expect. 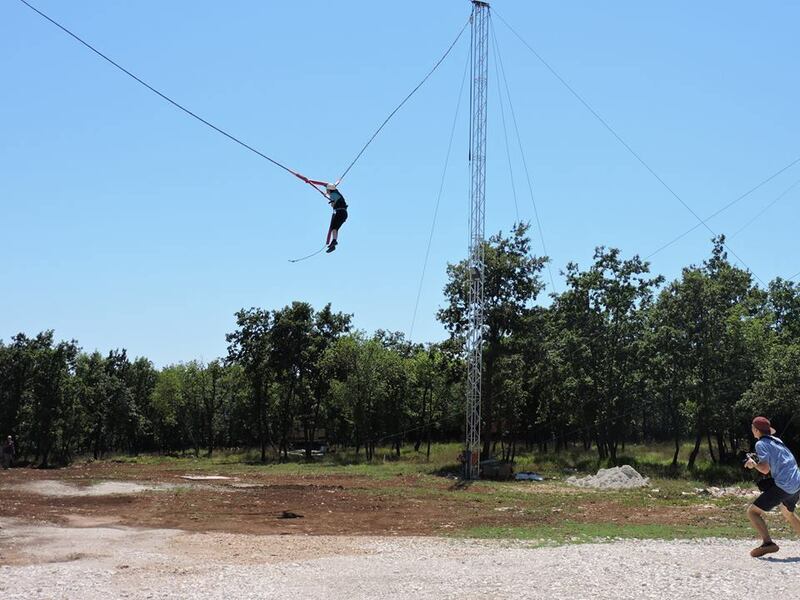 Then we will connect you to the bungee ropes, lift you up in the air and then pull you back 35-40 metres. Count down starts and then you fly 75 m in a second and a half. First of all, you must be sporty and over 45 kg if you are younger than 16 years old, also you should have no severe problems with your neck or back. You need to be between 45 - 95 kg. Don't worry, we will weigh you anyway.